Once part of the great Inca Empire, Ecuador was later conquered by Spain. This Spanish-speaking country has a rich colonial history and an abundance of wildlife. Visting school groups will want to tour Quito the capital city and political center. 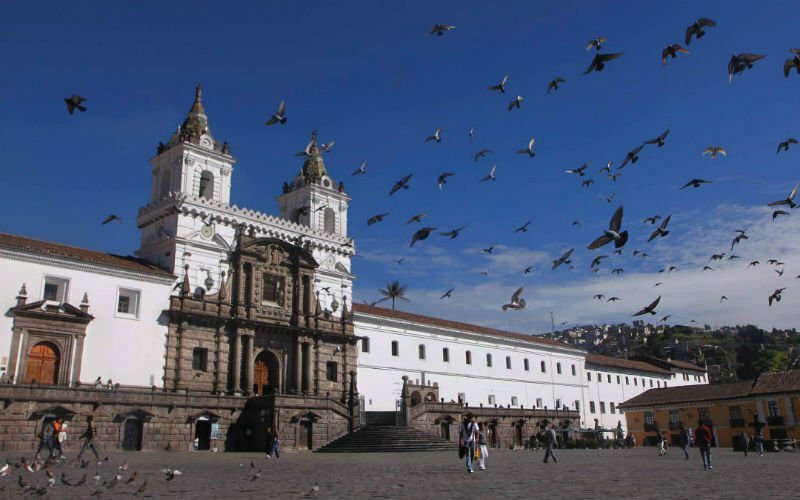 Quito offers many historic buildings, plazas, churches and museums. Ecuador on the whole is a very diverse country with friendly citizens known for warm and welcoming hospitality. When you have flown down to Ecuador, your group may want to visit the world famous Galapagos Islands, which is a once in a lifetime experience. This isolated group of islands is a bizarre and wondrous place, home to some of the world’s most unique wildlife. Students can get up close on a hike or boat tour. The adventurous might choose to snorkel and dive with denizens of the deep, from sea lions to sea turtles at Cousin's Rock near Santiago. Students can see finches, flamingos and iguanas while hiking along the Darwin Trail.